Employers can expect to see some wage and hour changes mandated by the U.S. Department of Labor in the coming months, according to Tammy D. McCutchen, a member of President Donald Trump’s transition team. Currently, the DOL is in something of a holding pattern. McCutchen said she has recommended some policy changes, but thus far the department has not agreed to make those changes. Officials at the time were reluctant to make any changes or take any action that could have jeopardized the confirmation of the secretary of labor. The Trump administration also decided it would hold off on filling various other high-level positions at the DOL until the department’s leader was confirmed. Since McCutchen made these statements, Alexander Acosta has been confirmed as labor secretary. He is still in somewhat of a transitionary period and acclimating to his new position, so it remains to be seen how he will run the department moving forward and the types of wage and hour changes the DOL will implement. The DOL’s overtime rules have been the subject of a great deal of debate over the past year. A new rule was scheduled to take effect on December 1, 2016, and would have required all employers to pay overtime to employees who earned less than $913 per week (or $47,476 per year). That would have represented a more than 100 percent increase over the previous threshold for overtime pay. Various business groups and state attorneys general challenged the new rule and succeeded in getting a preliminary injunction from a district court judge. The DOL under President Obama appealed that order, but when the administration changed hands, the decision was left up in the air. Acosta was given a deadline of May 1 to weigh in on the decision, and the department eventually sought an extension of that deadline until June 30. Acosta has previously said the overtime rule should “reflect inflation,” but at this point the rule is expected to remain in limbo for a few more months. For now, employers and employees should continue to operate as though the existing rules will remain in place, but should understand that changes could potentially happen later this year. There are some other FLSA rule changes that are in a state of uncertainty, as well. McCutchen said she would like to see a modernized computer exemption, along with an expanded commissioned employee exemption that would apply to industries beyond just retail and service. She has also suggested a revised home care exemption and a provision that would mandate employees to bring wage and hour complaints to their employers first. 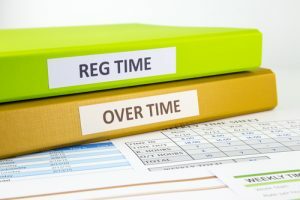 To learn more about the potential overtime and other FLSA changes now pending, contact a skilled New York wage and overtime attorney with Cilenti & Cooper, PLLC.